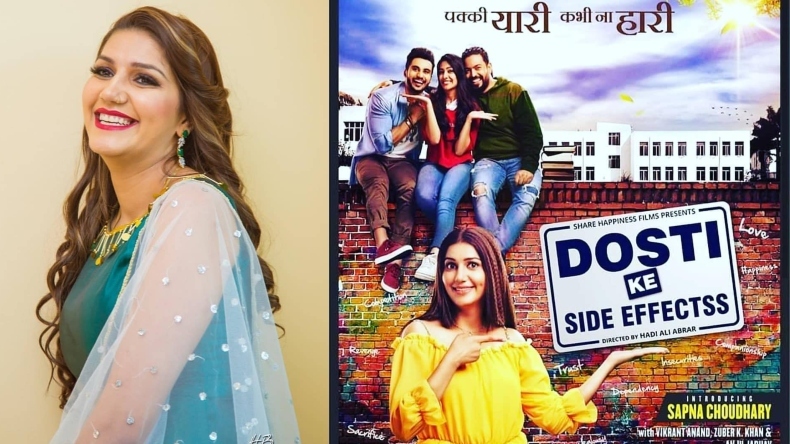 Sapna Choudhary's latest song Mood Bana Lo: Dosti Ke Side Effects will mark as the Bollywood debut of Anarkali Of Haryana Sapna Choudhary and will also star soap opera stars Anju Jadhav, Zuber K Khan, and Vikrant Anand in lead roles. Recently the makers released the third song Mood Bana Lo which has been crooned by Dev Negi, Aditi Singh Sharma and Altaaf Sayyed, and the lyrics have been given by Deepak Noor. Haryanvi singing sensation Sapna Choudhary recently took to her official Instagram handle to share the news of her latest song Mood Bana Lo from Bollywood debut movie Dosti Ke Side Effects releasing online. The song has been crooned by Dev Negi, Aditi Singh Sharma and Altaaf Sayyed, and the lyrics have been given by Deepak Noor. In a span of just a few hours, the song has garnered hundreds of thousands of views and the comments section is pouring with compliments for their chemistry and fun avatar.